Get Your Copy of Audra for #99Cents! Limited time only! You can get your Kindle copy of Audra for just #99cents by clicking Amazon.com or the picture below 🙂 Happy reading! Audra Kingsley, a wealthy heiress, may not have seen much of the world, but she knows exactly how she wants her future to play out – and a coming out ball held at her country estate, Kingsley Manor, would suit her just fine. Her father’s wish that she be presented at St. James in London seems silly since she is to marry her neighbor and childhood sweetheart, Lord Crispin Brighton, but she obliges him. Audra travels to London with her patroness, the eccentric Lady Sutherland, intending to return home as soon as she has curtseyed to the Queen. Unknown to her, Lady Sutherland is in no rush to leave London before the Season is over and intends to show Audra she has more options in the suitor department than Lord Crispin, a second son. Audra finds herself surrounded by few friends and is forced to attend parties, balls, and operas – all while becoming the object of a secret admirer’s obsession. As Audra struggles to make her way home to her beloved, plans to compromise her into an unwanted marriage are underway. Happy Re-Release Day to Audra! Crimson Romance in conjunction with Amazon Encore Publishing have joined forces to bring you Audra for just $1.99! Fire up your Kindle and enjoy this re-released romantic mystery and InD’Tale Magazine 2013 RONE Award Nominee by clicking HERE! 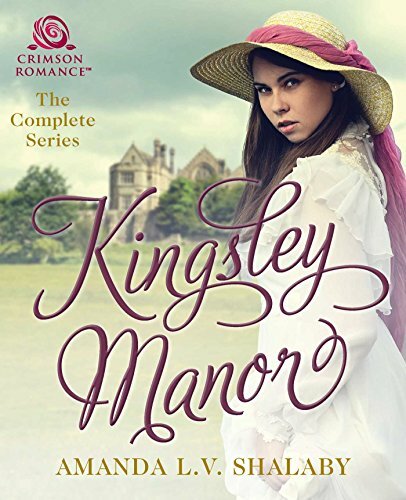 “Audra Kingsley, a wealthy heiress, may not have seen much of the world, but she knows exactly how she wants her future to play out – and a coming out ball held at her country estate, Kingsley Manor, would suit her just fine. Her father’s wish that she be presented at St. James in London seems silly since she is to marry her neighbor and childhood sweetheart, Lord Crispin Brighton, but she obliges him. Audra travels to London with her patroness, the eccentric Lady Sutherland, with the intention of returning home as soon as she has curtseyed to the Queen. Unbeknownst to her, Lady Sutherland is in no rush to leave London before the Season is up, and intends to show Audra she has more options in the suitor department than Lord Crispin, a second son. And don’t miss reading some of Audra’s great reviews from InD’Tale Magazine, The Romance Reviews, Romantic Historical Fiction Lovers, Rookie Romance, Harlequin Junkie, The Reading Cafe HERE!